Compact dimensions HBH-60 are amazed when you first see this device with your own eyes in reality. It weighs only 22 grams and the length of the headset is only 7.5 cm. 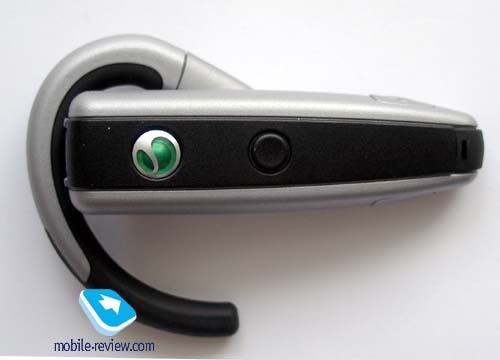 Today it the smallest bluetooth headset from Sony Ericsson. It differs from HBH-30 in dimensions and design; other features are almost the same. HBH-60 has an unusual construction. An ear hook is made of plastic, but its inner part is rubber. 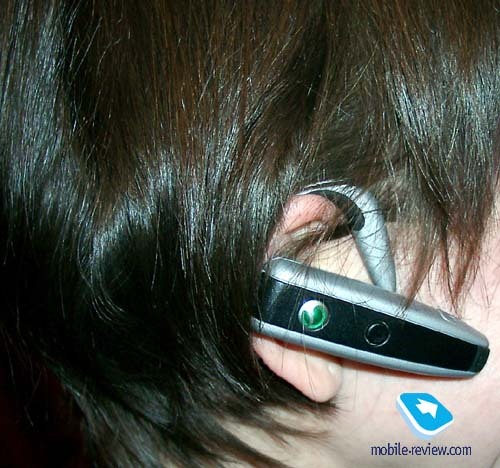 It can be rotated in all directions; what allows to wear a headset on both ears. 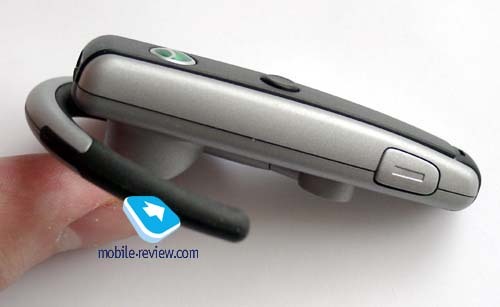 The main difference is that when you put on the headset on the right ear, a key to increase a volume is placed above and a button to reduce it is positioned on the bottom. If the headset is adjusted for left-ear use, then these keys are placed vice a versa. 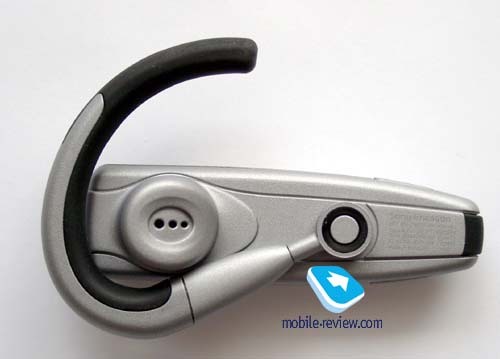 The ear hook is very comfortable and there are no problems to put on the device. It is one of the best headsets in response of convenience. 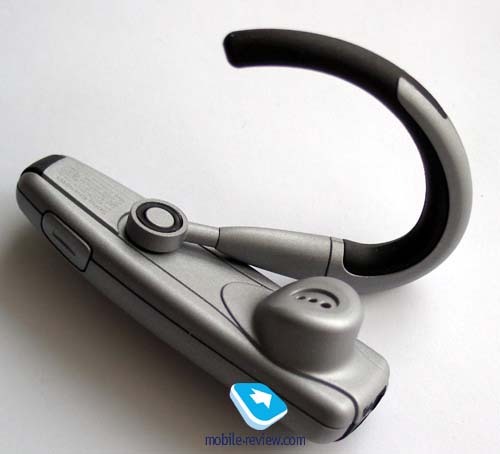 You can find a small button on the main part of the headset, which is used to switch on/off this device, activate voice dialing and answer/reject a call. An indicator light is also built-in this button. In the stand-by mode it flashes green. 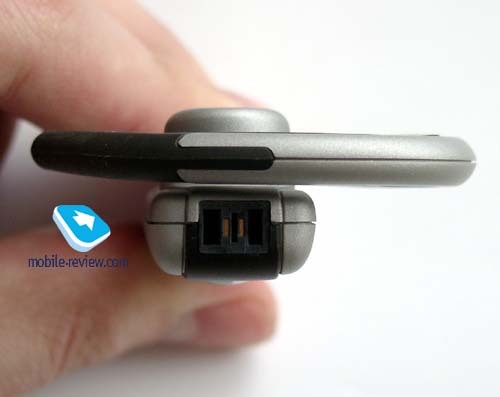 On the bottom of the headset one can see a charging connector. A charger is included in a standard delivery kit. According to a manufacture this device could provide up to 2.5 hours of talk time and up to 75 hours of stand-by time. Unfortunately, we didn’t find any information concerning battery type and its capacity. We think that it is a lithium-polymer battery of 250 mAh capacity. So, it is not a good idea to use this device in low temperatures. For example, we tried to use it when the temperature was –10 C. During 15 minutes a full charged battery run out. In room temperature it took 30 minutes before the battery warmed up and began to work again. An average operating time is about 2 days in case of 30-35 minutes of talking. To check a battery status press and release both keys («+» and “-“). If the indicator flashes three times, then the battery has a high status; if you see only 2 flashes, then it has a medium status and if there is only 1 flash, then the battery is low. It takes about 1.5 hours to fully recharge the battery. If you press and release these two buttons during a talk, then a microphone will be turned off. This headset has the richest features compared to all other headsets. 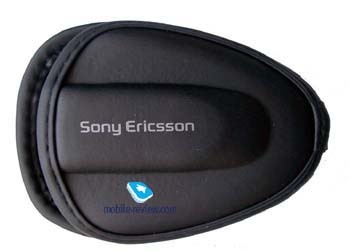 We tested the device together with both phones Sony Ericsson T610 and Siemens S55. We had no problems adding the headset to a list of paired device in both cases. HBH-60 can be used in range of 5 m from the phone indoors and up to 10 m (about 7.5 m) – outdoors. A volume of the loudspeaker of the headset is sufficient to speak in noise place. A person on the other side of the phone line usually hear you also good, but in noisy places it is preferable to use the phone. Your voice can also not be heard if you put on the headset in the wrong way. Look at the picture in the manual before using the headset. Pay attention that the headset shouldn’t touch with your cheek and the microphone should be positioned towards your mouth. A standard delivery kit also contains a case for the headset, but it doesn’t have any holders. You can’t wear it on the belt, for instance. It is just a case. HBH-60 would go on sale in March this year. An expected price is about 200 Euro. Probably in summer the price would fall down. We can recommend this device to those who for the first time purchase such kind of product. If you have already bought HBH-20 or HBH-30, there is no sense to change them. 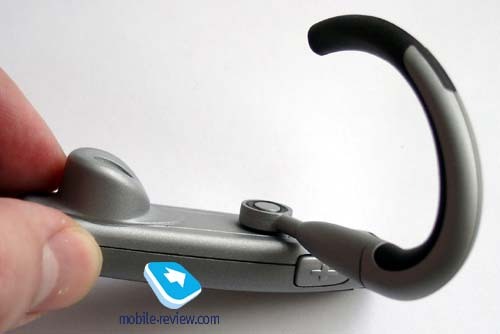 If not to pay account to the price this headset is the best one, which is presented on the market.